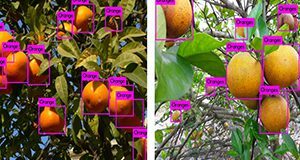 Technological advances in computer vision, mechatronics, artificial intelligence, and machine learning have enabled the development and implementation of remote sensing technologies for plant, weed, pest, and disease identification and management. They provide a unique opportunity for the development of intelligent agricultural systems for precision applications. This 5-page document discusses the concepts of artificial intelligence (AI) and machine learning and presents several examples to demonstrate the application of AI in agriculture. Written by Yiannis Ampatzidis, and published by the UF/IFAS Department of Agricultural and Biological Engineering, December 2018.